Pack up the robots, your Apple gear and the Red Bull because it’s almost time for South by Southwest in lovely Austin, Texas. As a local tech reporter, each year I’ve tried to showcase a few of the hotter startups in the city for visiting VCs, executives and job seekers just in case you want to find a deal, partnership or new gig while down here. So far, more than half of the companies on my previous lists (2010 and 2011) have “made it” in some way, either with an acquisition, more funding or big customer wins. That’s better than a dart board, so I figured I’d keep up the tradition. 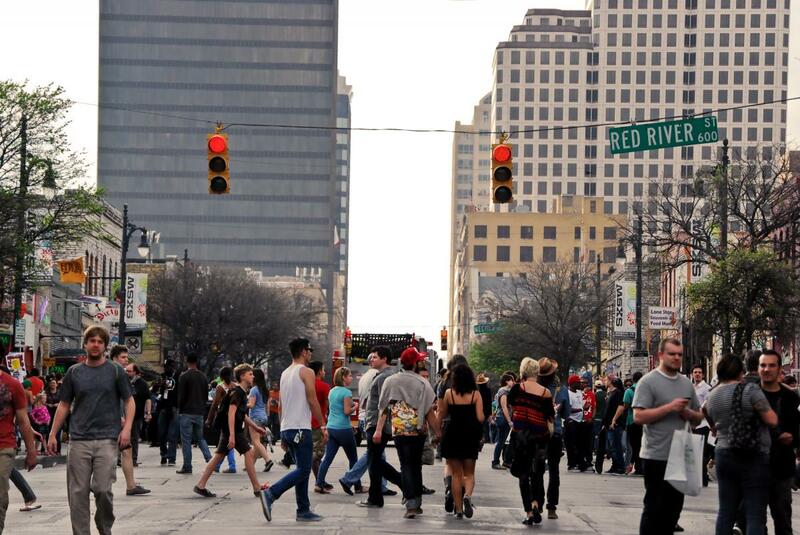 So without further ado, here are the 10 startups you should meet while in Austin. Ambiq Micro: I’ve mentioned this chip startup before, but for those hardware hacks out there, it’s worth a look. Not just because it’s building a smarter, integrated-clock chip for sensors, but because CEO Scott Hanson delights in chatting up the hardware and technical details behind the Internet of things. CommunityOffers.com: Everyone understands how Groupon can be a blessing and a curse for small businesses as a lead generation tool. CommunityOffers is trying to perform a similar service in terms of helping local businesses get new customers, but they back it with data collection on the back end that helps retain and reward loyal customers. Gazzang: The seamy underside of our big data obsession is how most of our data isn’t well secured. Gazzang, led by experienced enterprise software sales executive Larry Warnock, wants to encrypt the data itself as opposed to the infrastructure on which the data is stored. Gazzang has raised $3.5 million, and already has several customers. Ordoro: The guys behind Ordoro are out of the University of Texas business school and created inventory and order management software to help small businesses (or big ones) manage the still convoluted and manual aspects of shipping physical products ordered online. Ricochet Labs: The company behind the popular QRANK platforms was formed in 2010 to create content for publishers. The news-style quizzes aren’t just for publishers though. The company is in the middle of raising a series A round to make advertising a compelling form of content, a must in today’s attention economy. SubtleData: This is where the cloud meets the mobile world in retail. SubtleData offers a platform that provides a back-end loyalty and rewards service for merchants and app developers. It allows merchants to connect point-of-sale services through their mobile devices. This is a big deal for folks who want to run food trailers or small businesses that don’t want to buy a lot of extra sales software. Of course, now that Square has launched a similar Register service, SubtleData may end up being a buy for one of the bigger players that want to get in on this game. Umbel: If, on the Internet, everyone is a publisher, then it makes sense to know your audience. Umbel calls itself an audience intelligence company. The stealthy company uses vast amounts of aggregated, real-time social data and hopes to become the Nielsen for the Web. It’s a tall order, so let’s see if it can do it. Vivogig: Austin bills itself as the Live Music Capital of the World, and so it’s great to put Vivogig, an app that allows you to share and vote on photos of your favorite bands. It looks like they are going to provide a fan outreach and marketing site. Wheel InnovationZ: A startup that is pretty stealthy, so this recommendation is more about the person than the product. Founder Srini Gurrapu has a lot of experience working with infrastructure startups and virtualization. The understanding is that the company is building an app store to help companies manage the trend of employees bringing their own devices in to work and working on things that aren’t corporate computers. Sounds vaguely like VMware’s Horizon, but it could be a lot of things. Wide Open Spaces: If you know what Cabela’s is, then you should sign up for Wide Open Spaces, a Gilt-Groupe-style shopping site for the hunting and fishing set. It was formed in October 2011 and closed a small Series A in December. Image courtesy SXSW, credit Brittany Ryan. Stacey, great to see a list that wasn’t all about Social/Serendipitous Discovery. I’m getting a little tired of hearing all about Highlight vs. Glancee. There’s a lot of other companies doing cool stuff! To help these guys get some exposure, I’ve put together a scavenger hunt that features startups doing awesome stuff but aren’t in the “hot spaces”. We’ve got 50+ startups involved & would love for you to check it out! I’m glad to see our client Ordoro on the list. They’re such a pleasure to work with and we’ve really enjoyed helping fuel their growth. You guys rock! Stacey, thank you for the mention of Gazzang. Our encryption solution has been well recieved by customers. We have over 200 total now. MySQL, PostgreSQL and Big Data encryption. See ya at SXSW. Check out Mass Relevance! They will have an awesome visualization of all the social activity going on on Twitter during SXSW! Stacey, Nectar Online (http://nectarom.com) first of its kind predictive social commerce company also worth looking into — recently launched http://www.buyerhive.com for small businesses to save on everyday business purchases. Thanks for the Community Offers mention! (http://www.communityoffers.com) and please check out our FREE app on iPhone and Android to save some money in town during SXSW at some awesome restaurants and merchants in the downtown area! We often get overlooked in the Groupon noise–so nice to see someone sees we are unique in the space! Thanks for supporting Austin start-ups! Stacey – please look at BigMarker.com, the social network for communities, while you are at SXSW. GIRL, you should be on horses! In your past 3 listings, you have some hotties! 2010 stand outs: GameSalad (then Gendai), Calxeda (then SmoothStone), ChaoticMoon (then whurley), TabbedOut (then ATX Innovation), InfoChimps, TweetReach (then Appozite, Otherinbox. 2011 stand outs: MutualMobile, Socialware, Sharpskirts, MassRelevance, Macheen. And great list this year too. THX for taking time for ATX co’s! Bring on the SX Insanity! Thanks, Stacey. I’m not able to attend SXSW this year, but I plan to research some of your recommendations and forward them to friends who might be interested. Thank you for the mention about SubtleData. We appreciate the support. I’m surprised that http://whit.li didn’t make your list! I understand they live in ATX but are based in San Francisco. I also thought PublikDemand (http://publikdemand.com/) was interesting (plus is just had a hit with the AT&T throttling suit,) but it is moving to Cali.